Ko graduated Wesleyan with a Bachelor of Arts in English and Women’s Studies before going on to earn a master’s degree in Library and Information Sciences from San Jose State University and a Master of Fine Arts in creative writing from from The City College of New York. While “The Leavers” is her first published novel, she has also written personal essays for the New York Times and Buzzfeed and literary criticism for the Los Angeles Review of Books, in addition to other freelance work. According to its book description, “The Leavers,” tells the story of the 11-year-old son of a Chinese immigrant struggling with assimilation and life after the disappearance of his mother. 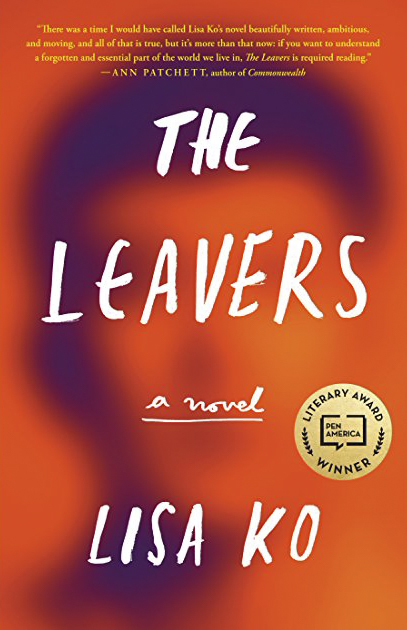 In addition to being longlisted for the National Book Award, “The Leavers” received the 2016 PEN/Bellweather Prize for Socially Engaged Fiction. According to Ko’s website, the award celebrates works that engage with issues of social justice. “The Leavers” has also garnered praise from critics at publications varying from The Los Angeles Times to Buzzfeed. She describes, as an example of a real person that inspired her writing, the story of Xiu Ping Jiang, an undocumented immigrant from Fuzhou, a major Chinese city. Ko discovered her story in a piece by the New York Times. Jiang fled China in 1995 after undergoing forced sterilization. She was caught by immigration agents in 2007 while traveling from New York City to Florida and placed in an immigration detention center. She was too physically and mentally ill to prepare and plan deportation back to China, so she was trapped in an immigration jail with no lawyer to represent her, and seemingly no chance to get out. She is now free and living on bail. The National Book Foundation gives the award annually and also awards the best works of non-fiction, poetry and young people’s literature. Each category has its own set of judges who determine the recipients of the award. For the fiction category, the judges are Dave Eggers, Annie Philbrick, Karolina Waclawiak, Jacqueline Woodson, and Alexander Chee ’89. The finalists for the award will be announced on Oct. 4. On Nov. 14, the foundation will live stream readings of the finalists’ works. The following day, the foundation will host a benefit gala and award ceremony in which the winners are announced. Henry Spiro can be reached at hspiro@wesleyan.edu or on Twitter @JudgeyMcJudge1.